SAN FRANCISCO — The San Francisco Silent Film Festival is pleased to present two Asian films from the Silent Era as part of its 19th annual festival. Both films will be screened at the Castro Theatre, 429 Castro St. (at Market), San Francisco. From Japan: “Hijosen no Onna” (Dragnet Girl), 1933, directed by Yasujiro Ozu. Cast: Kinuyo Tanaka, Joji Oka, Sumiko Mizukubo. Print from Janus Films. Accompanied by Guenter Buchwald on piano. Sunday, June 1, at 12 p.m.
Best known for his gentle family comedies and dramas, Japanese master Ozu also made three silent gangster films. 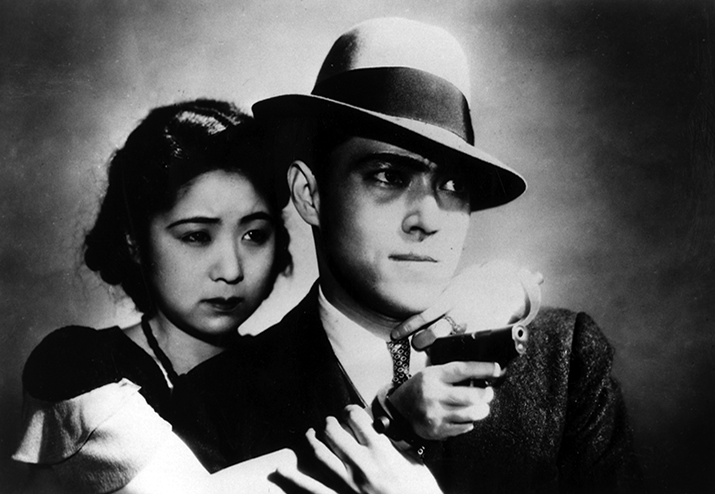 “Dragnet Girl,” the last and best of them, stars future Mizoguchi muse Tanaka as a typist by day, and gun-toting gangster’s moll by night. As her ex-boxer lover, Oka matches her tough bravado. Ozu, a fan of American films, pays stylish homage to the genre, filling the frame with Hollywood-style décor and costumes, moody lighting and noir shadows. The sets and cinematography were reportedly influenced by the work of Joseph von Sternberg. Not typical Ozu, but a wonderful anomaly. 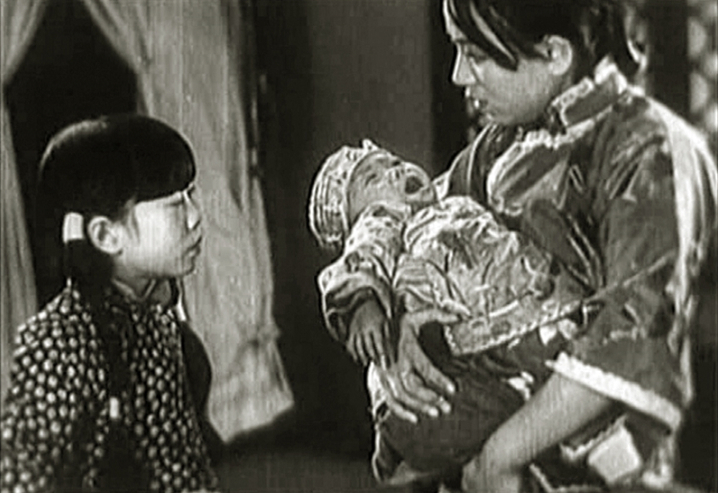 From China: “Yu Guang Qu” (The Song of the Fishermen), 1934, directed by Cai Chusheng. Cast: Wang Renmei, Luo Peng, Yuan Congmei, Han Langen. Print from the China Film Archive, Beijing. Accompanied by Donald Sosin on piano. Friday, May 30, at 1 p.m.
“The Song of the Fishermen” is not only the first social-realist film in Chinese cinema history, but also the first Chinese film to win a prize in an international festival (Moscow Film Festival, 1935). Depicting the struggle of the poor in Shanghai, the film is a moving story of social injustice told with eloquence and passion. Starring the beautiful Wang (“Wild Rose”), the film was a breakaway success — playing in Shanghai for a record 84 days to an audience of nearly a million. Wang became known as the “Wildcat of Shanghai” for her intense performance as “Little Cat” in the film. While shooting “Song,” Wang announced her marriage to Jin Yang — her “Wild Rose” co-star, considered the Rudolph Valentino of Shanghai — and consequently Linhua Film Company dropped her contract in the belief that a married actress wouldn’t attract male audiences. The film’s title song (composed by Ren Guang) was a huge contemporary hit in Shanghai, and later (in the 1970s) it became a hit in the U.S.
For more information, visit www.silentfilm.org.